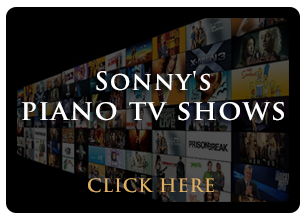 Here you can see the full length versions of all of Sonny's Piano TV Shows. 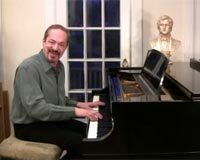 Sonny Talks about the health benefits you can derive from playing piano and demonstrates some techniques for relaxing, getting into the flow and releasing tension and stress through piano playing. 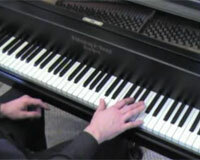 He also shows how to play unlimited songs with only three chords, gives a video tour of a Hardman & Peck Piano and demonstrates how to improvise on the song Moon Dance. Sonny's Piano Guest Artist Show..this is a wonderful show featuring many of the guest artists that visited Sonny's Pianos or were featured in previous shows. 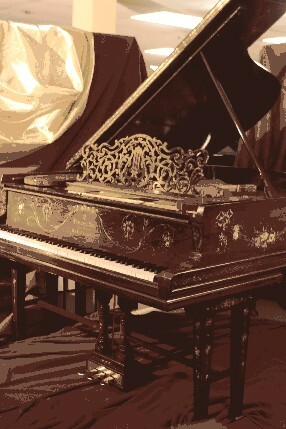 Sonny improvises on several absoultely stunning one-of-a-kind Hand Painted Art Case Steinways. 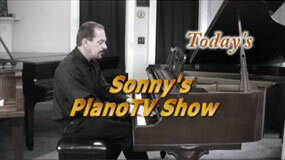 Great show featuring Sonny's Designer Pianos and stress tips. Here Sonny introduces his new line of hand painted Steinway Pianos in very modern style shabby chic, minimalism and Gustavian. Also in this show Sonny shares some tips for relaxation and reducing tension & stress. 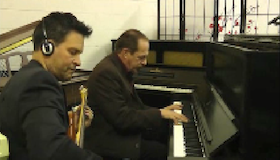 Terrific new show introducing "Jamming Pianos" with Sonny Stancarone & Damon Mulazzi. Also featuring original art case hand painted "White Driftwood Steinway", a "Crown Jewel" Steinway and an original composition from Houston with photos of flood damaged pianos by Steve Gaines on a Steinway he purchased from Sonny. 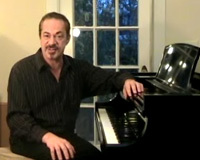 This show features Sonny & his brother, guitairst Mark Danti Stancarone; the Rob Oro Trio, the Boogie Kings Bob Baldori & Arthur Migliazza, spontaneous improvisation Jazz Pianist Kazzrie Jaxen, and Jazz Piano Professor Scott Ballin playing Sonny's Hand Painted "Chinoiserie Steinway M and the MILLION DOLLAR STEINWAY- A Prince's Love Piano over the summer of 2016 at several different venues. 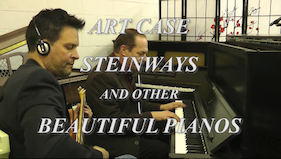 This show features Sonny playing and talking about more beautiful pianos from his "Art Case Pianos Collection" at his Long Island, Bohemia NY Warehouse. Also guest artist Jazz Pianist Robert Oro came to Sonny's looking for a Steinway and found Sonny's MILLION DOLLAR STEINWAY Hamburg A and played a terrific session on it. 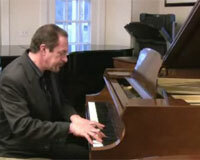 FOX NEWS Stopped by last week and video taped our MILLION DOLLAR STEINWAY and Featured it in their NY Minute. 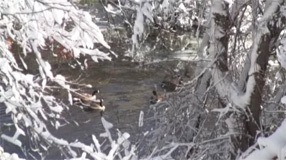 They will be back to do a longer feature shortly. 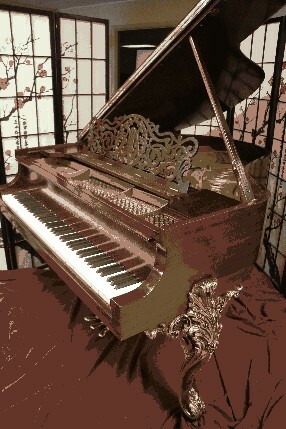 This show feature's The Million Dollar Steinway, A Prince's "Love Piano" One-of-a kind, Rosewood, Hand Painted, Art Case Hamburg Steinway Model "A", Totally Rebuilt & Restored with Unique Romantic Portrait, Love Scenes and other exquisite Art Case Pianos for sale from Sonny's Art Case Pianos Collection. 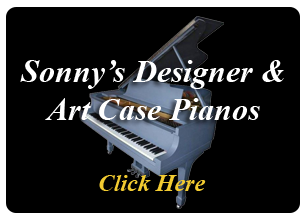 Art Case Pianos Present and Past from Sonny's Piano Warehouse. A wide selection of the 'works of art" that have traveled through and are currently residing at Sonny's. 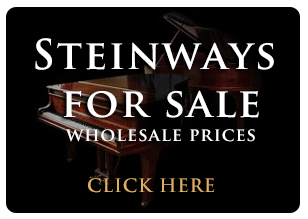 Hand carved, hand painted, King Louis XV Style Steinways, Queen Anne and Cabriolet Legs, Victorian, and many more. 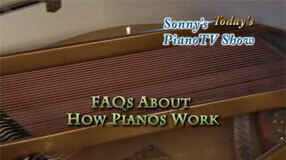 Sonny’s Pianos- “THE FOX NEWS INTERVIEW" about Sonny’s Piano Yoga Method! 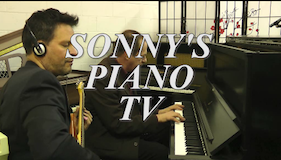 An interesting blend of Sonny's Piano Improvisations on some of the Steinway & Bosendorfer pianos at Sonny's Long Island, NY Warehouse, with two guest Artists...Piano Virtuoso Jon England Playing Chopin and Harmonica player Jerry Tatt jamming with Sonny. This show also features a Sonny's Piano Yoga Tip on how to meditate while playing the piano. 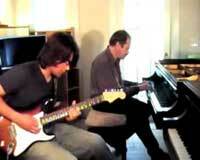 The last 10 minutes of the show features Sonny & his guitarist brother Mark jamming on a blues chord pattern. 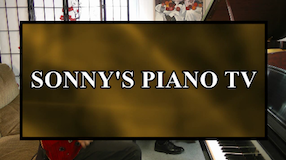 This show features more creative videos and photos of Art Case Steinways and other beautiful pianos at Sonny's Pianos on Long Island in NY. 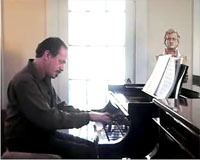 Also another performance from the phenomenal classical pianist Sandro Russo this time playing a Scriabin Piece and very entertaining video clips from Sonny's brother Mark Danti's Orchestra "The Projekt"
Sonny's Piano TV Show 53 This show features a one of a kind Art Case Hamburg Steinway "Marquetry Style" Inlaids" Model B and very creative video tours of a number of beautiful Steinway & other pianos now at Sonny's Wholesale Piano Warehouse on Long Island, NY. Sonny demonstrates each one by playing them and then talks about their different characteristics. 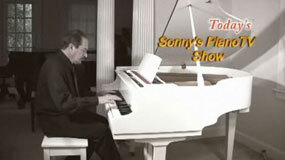 Sonnys Pianos TV Show 47 "Art Case Steinways & Other Beautiful Pianos"
This show features more great piano videos from the contestants in Sonny's most recent "Win A Free Steinway" Contest held on Facebook. 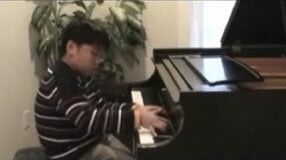 This one contains the interviews with 2nd and 3rd place winners Jennifer Kim and Grace Pristamo along with many other contestant videos and another "Steinway News" Segment from Sonny. 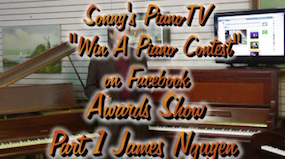 This is Sonny's 'Win A Free Piano' Contest on Facebook AWARDS TV Show...Here Sonny interviews the winners of the March 2013 competition, 15 y/o Phuong Le, 16 y/o Austin Lee and Wes Williamson. 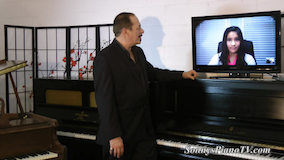 The show also features their winning videos and Sonny playing the three pianos they won from Sonny's Pianos, two Steinway uprights and a Fischer Baby Grand. 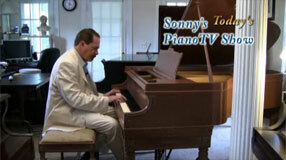 The Second Sonny's Piano TV Show Featuring the 'Win A Free Piano Contest' This show contains entertaining, humorous, inspiring, quick video splashes/clips of most of the contestants that had uploaded into the February/March 2013. 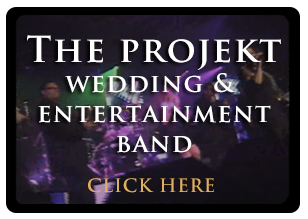 Show also includes two Sonny Piano Yoga Tips and guest guitarist Mark Danti (Sonny's Brother) from the Projekt Wedding and Events Party Band jamming with Sonny. 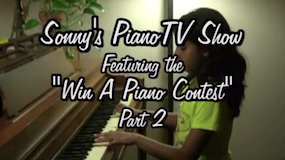 This show features the First and second place winners from the last 'Win A Free Piano' Contest playing the pianos they won in Sonny's Video Contest. 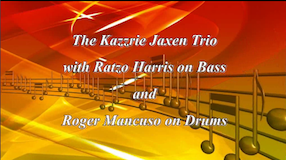 Also on this show Sonny gives another one of his Piano Yoga Tips and we get to see Guest Artist, Jazz Pianist Kazzrie Jaxen at the legendary NYC Jazz Club 'Birdland'. 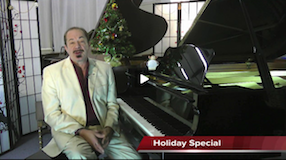 Sonnys Piano TV Holiday Special featuring guest artist Andre Kozlasky playing a Steinway B here at Sonnys Pianos. 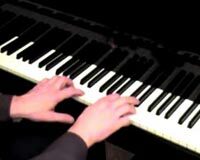 See videos sent in by the winners of Sonnys most recent Win a Free Piano Contest on Facebook actually playing the pianos they won! 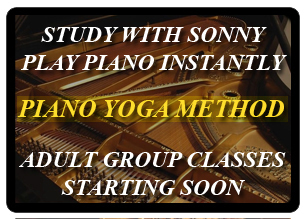 Also includes a Piano Yoga tip by Sonny on how to relax and get into the zone while playing the pianos and two artistic video tours of pianos that we currently have for sale at Sonnys Piano Warehouse. 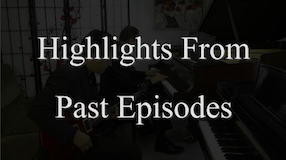 More highlights from past Sonnys Piano TV Shows including Christine Huang, Scott Ballin and Benito Gonzalez. 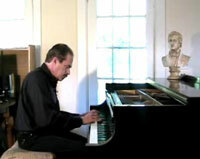 Sonny talks about the healing and therapeutic benefits of piano playing that are featured as part of a TV news story. 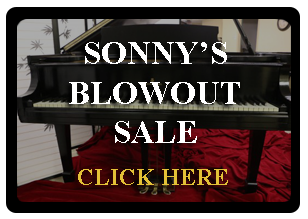 See a video tour of Sonny playing a rare Art Case Steinway Grand Piano available for sale at Sonnys Piano Warehouse. 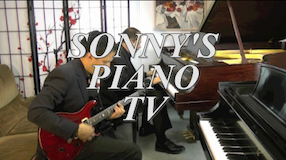 This show is a compilation of the best highlights from the past five Sonnys's Piano TV Shows that were based on the summer 2012 'Win A Free Piano' contest held on Facebook. 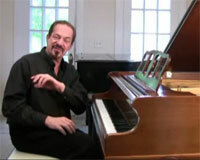 Take a look at some of the winning videos with Scott Ballin (Jazz Piano Professor) and Angelica Olstad (Yoga Pianist). 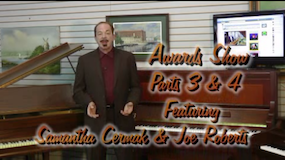 Sonny's PianoTV AWARDS SHOW Part 1 Featuring First Place Winner of this years Win A Free Piano Contest. PART 3 & 4 'THE AWARDS SHOW' Here it is! 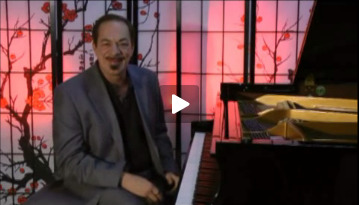 The Final Episode of the Sonny's PianoTV Show 'Win A Piano' June & July 2012 Contest. Featuring third & fourth place finishers Samantha Cermak & Joe Roberts. Joe talks about how he got interested in piano playing as a kid and going to Berklee College of music in Boston and being the assistant music director at a United Methodist Church in Brooklyn and teaching high School kids and even gives a few Jazz & piano tips to aspiring piano players. 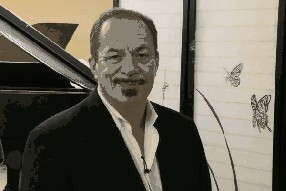 This show features guest artist and jazz pianist Scott Ballin, professor of music at Five Towns College. 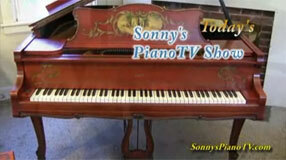 Join Sonny and Scott as they discuss pianos, piano playing and look at clips of the Win a Free Piano Contest. Scott also plays a couple of tunes and gives a few jazz tips for aspiring young musicians. This show features guest artist concert pianist and yoga instructor, Angelica Olstad, also know as the Yogi Pianist. 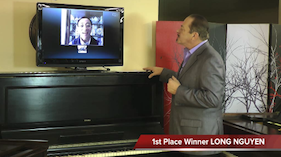 Join Sonny and Angelica as they play their duet and talk about the latest news from the Win a Free Piano Contest on Facebook with video clips of the top contestants. 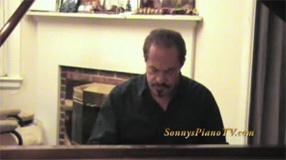 Sonny creates a wide spectrum of improvised music on several beautiful Grand Pianos for sale at Sonny's Pianos in Holbrook NY., including three Steinways, a Baldwin, a Kawai and a Brand New Albert Weber Grand Piano. 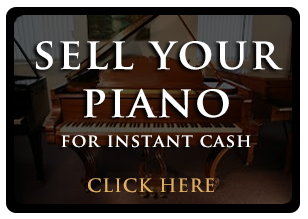 He also gives some tips on how everyone can play piano for health & well being. Here Sonny Shows some of the video clips of the leaders in the Facebook contest as it was unfolding. This show also features a three year old girl playing and dancing to her Disney Keyboard and another youngster playing 'Mary Had a Little Lamb.' 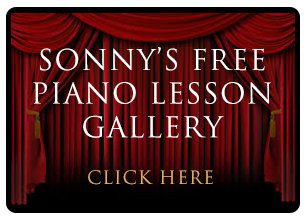 Also Sonny gives a Piano Yoga Tip for Relaxing while playing the piano. 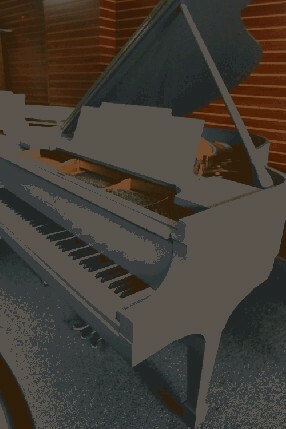 The show always contains some very creative MTV like video tours of some of the pianos for sale at Sonny's Pianos. 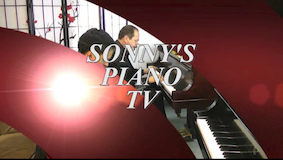 Here Sonny gives viewers a look behind the scenes at Sonny's Piano Warehouse and highlights some of the movers, technicians and refinishers as they work. 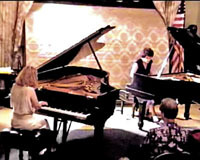 Featuring Young Piano Artists: George Li playing Listz's 'Hungarian Rhapsody', Kyle Walker playing a Bach prelude, Martha Maier plays a jazz piece, John Octavian Dobos plays Brahm's 'Rhapsody in G Minor', Corey plays 'One Republic - Apologize', and Christine G. plays an original electronic composition. 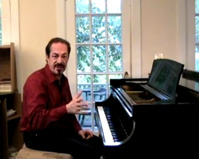 Featuring: Sonny Playing Relaxing Piano Music, Tips on how to play relaxing music even if you never played the piano, Breathing and relaxation techniques for playing the piano, reducing piano performance anxiety and getting into the piano flow, Sonny's Piano Video Tours of pre-owned Knabe Baby Grands, Steinway & Mason & Hamlin Pianos for sale. Plus Guest Artists: Rachel a child prodigy playing a classical paino piece, and jazz icon Connie Crothers' Quartet at Birdland Jazz Club in NYC. 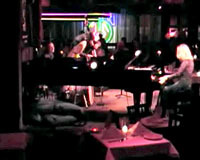 Sonny's plays an improvisational stretch on a white gloss Kranich & Bach Piano for sale and on two other legendary brand grand name pianos, then comes piano music videos featuring; the incredible jazz improvisational pianist Connie Crothers at The Berlin Jazz Festival; Rachel a young child prodigy playing a classical piece and former NYC Fire Department Lieutenant Jim Sweeney playing a jazz standard. 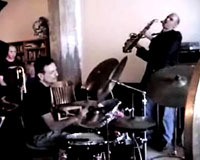 Sonny & Andrew Blues Jam; Mark's Pink Floyd Guitar Solo; Michelle Plays Beethoven Sonata; Connie Crothers' Cameo; Mason Hamlin Grand Piano Video Tour; Dan Sings and Plays Original Composition. 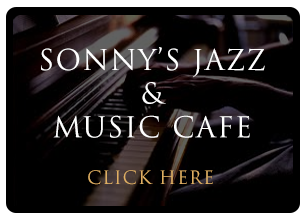 Sonny's Piano Tips 'Creativity, Getting into the Flow'; Guest artist Connie Crothers; Featured piano video tour 1925 Steinway Model M; Free piano improvisation lesson 'Black Note Flow' exercise. 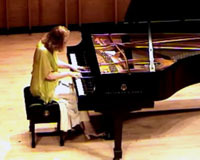 Connie Crothers & Valentina Nazarenko Duo Steinway Hall concert; Sonny & Andrew piano & guitar 'Malaguena' improvisation jam; Frank Danti (Sonny's Dad) plays and sings an original song True Lover's Flame; Behning art case baby grand piano tour. 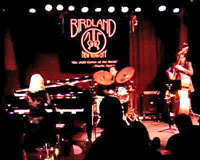 Kazzrie Jaxen Trio at Birdland; Introducing pre-Schoolers to piano playing; Jim Sweeney plays 'My Funny Valentine'; Zimmerman piano tour; Sonny improvises on the blues. 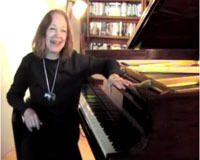 Kazzrie Jaxen sings Gershwin's 'Embraceable You'; Sonny's piano tips: PianoYoga; Bob plays 'Autumn Leaves'; Player Piano video tour; Sonny plays an improvisational piece.